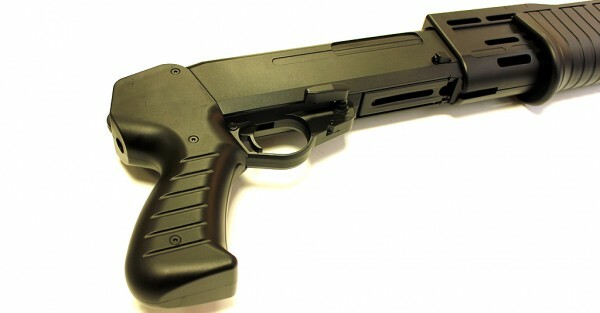 For close-in engagements there is only one choice in the Double Eagle Tri-shot shotgun range. the M63 - Special Spring shotgun. 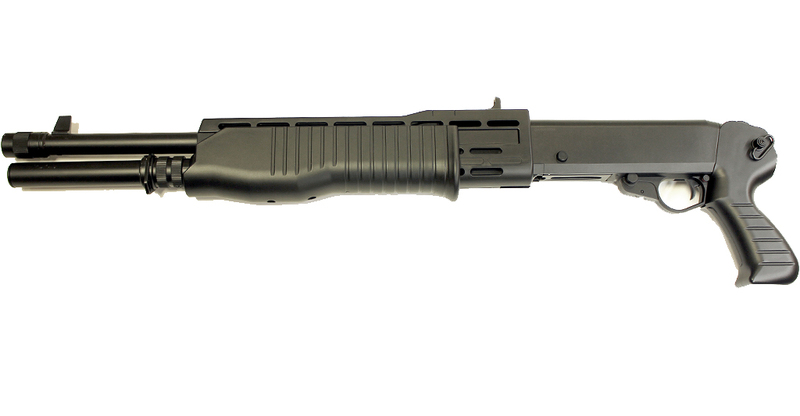 Patterned after Italian special shotguns from the early 90's the M63 combines aggressive and intimidating Italian style with the famed Double Eagle tri-shot system. Perfect for velociraptor hunting or if you are cyborg that has been sent back in time. Engaging targets at up to 50 foot with a tri-shot spread of BB's at around 270fps, The M63 is ideally suited for CQB applications. The M63 uses the magazine shot shell system. It comes complete with 1 x magazine shot shell holding 30xBB's. 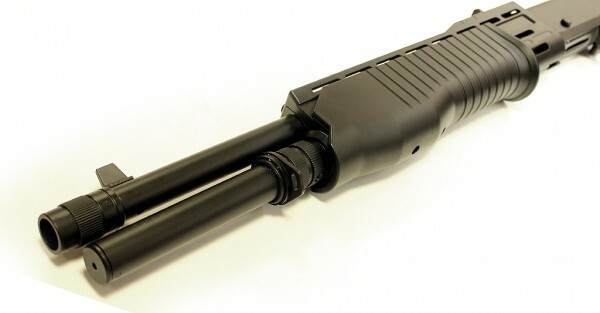 On each rack of the pump action, 3 BB's are loaded, and on each trigger pull, 3xBB's are fired! Please note that the M63 is a substantial airsoft spring shotgun and requires considerable strength and skill to rack the action. If this is not done properly you could double or even triple load the chamber which can cause major issues and possible damage. Ensure that the airsoft operator has the skill and strength to operate this airsoft platform.